The pinnacle of fishing on the Outer Banks, however, is and has always been Cape Point. Ask any long-time Hatteras Island fisherman about Cape Point, and they'll gladly tell you about incredible catches, near-misses, and the occasional vehicle getting stuck in the deep, shifting sands. This small sliver of the Outer Banks is legendary for a reason. As the geographical "center" of Hatteras Island, it often attracts big game species that can only be found in the Gulf Stream miles away, as well as dozens if not hundreds of saltwater species on a daily basis that congregate to this area. In addition to the exceptional fishing, visitors who don't bring a rod and reel along can find some of the island's best shelling, sightseeing, and even sunsets from this popular and incredible beach. Hatteras Island vacationers who like a good beach and love a lot of fishing need to make the trek to Cape Point. Though a little bit of a challenge to get to, newcomers will soon find out why this beach has become a legendary East Coast fishing hole, and a popular Outer Banks destination for decades. The reason why fishing is so exceptional on Cape Point is simple geography. If you look at a map of Hatteras Island, Cape Point will literally stick out like a sore thumb. The area is located at the exact location where the island turns west, and hooks back towards the mainland creating a small section of both north and south facing beaches. Cape Point also marks Hatteras Island's easternmost beach, meaning that the expanse of Pamlico Sound is wider at this location than anywhere else on Hatteras Island, and as such, Cape Point stretches out into the ocean (and close to the Gulf Stream) further than virtually any other beach on the Outer Banks. These two factors would automatically create exceptional fishing conditions, but Cape Point actually has a third Ace up its sleeve - its proximity to North America's two major currents. The Gulf Stream is a warm southern current that attracts subtropical and big game species, while the Labrador Current is a cold natured current that originates in the northern section of the continent. Along the ocean waters off of Cape Point, these two major currents meet, intersect, and create miles-long series of shifting sandbars and water conditions that attract a variety of saltwater fish. This combination has proved deadly to passing ships, and for hundreds of years this area was known as the "
Second only to the Cape Hatteras Lighthouse, Cape Point could be considered one of Hatteras Island's oldest attractions, as fishermen began making the long trek to the southern Outer Banks in the 1940s and 1950s just to access this out-of-the-way beach. At the time, the trip required a hop onboard a small ferry across Oregon Inlet, operated by Captain Tillet, followed by a long and winding drive along beaches, sand dunes, and muddy make-shift paths. Today, the trip is clearly a bit easier, and vacationers can simply follow NC Highway 12 across Bodie Island and the Herbert C. Bonner Bridge, and continue on all the way to town of Buxton. 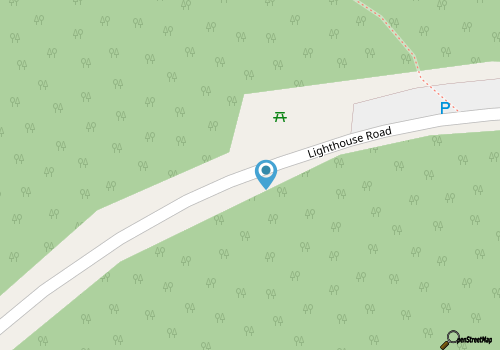 Located next to the Cape Hatteras Lighthouse, the access ramp is fairly easy to find - simply follow the signs to the lighthouse, drive past it, and keep right on driving along lighthouse road until the paved road ends, and the beach ramp begins. A 4WD vehicle has always been generally required to access Cape Point, as it is located a good mile away from any paved public parking areas or roads. This is especially true for fishermen who are bogged down with rods, reels, bait, and tackle boxes, as the long hike along the beach can be an exhausting one when weighed down with a lot of equipment. With that in mind, however, hikers or visitors who just like a long beach walk can certainly access the Point by foot, just expect a good hour or so round trip hike along the shoreline. 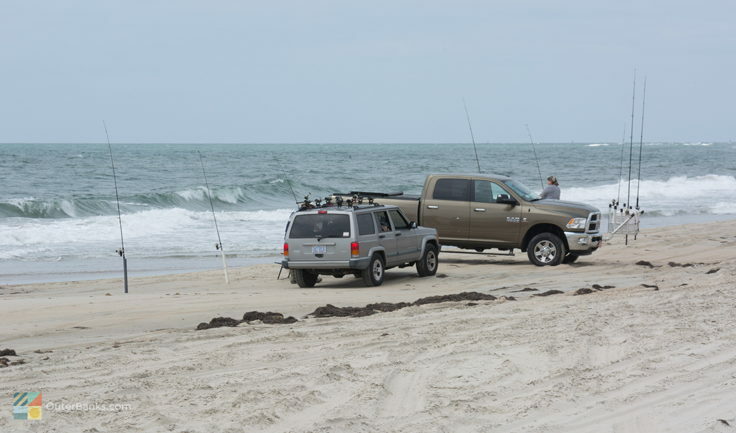 Recently, the National Park Service has required a beach driving permit for anyone who wants to drive along the Cape Hatteras National Seashore (CHNS) beaches, including Cape Point. Drivers must apply in person and watch a 10 minute video about driving on the CHNS beaches, as well as pay a weekly or annual fee, depending on how long they need a permit. The good news is that the permit station is located just half mile from Cape Point, at the Visitors Center adjacent to the Cape Hatteras Lighthouse, and there is no waiting period so a day-tripper can obtain a permit, and then immediately go cruising. Newcomers to beach driving should also keep a few tips and tricks in mind to ensure they follow the rules of the "beach road," and more importantly, don't get stuck in the process. When it's open, Cape Point is one of the busiest 4WD access ramps on the beach, with dozens of fishermen heading out or coming back with coolers full of fresh catches. As such, follow the same guidelines you would on the road. Keep to the right, (there will be well marked tire tracks to follow to and from the shoreline), be considerate of other drivers, and go slowly, especially along the more crowded stretches of beach where families may be lounging or playing close to the traffic. To minimize your chances of getting stuck, be sure and decrease your tire pressure to about 15-20psi before heading out on the sand. Vehicles will find plenty of local convenience stores after leaving the beach to air back up again, like the Red Drum convenience store and gas station just a half mile or so away. Once you're ready to head out, you should also be mindful of where you park. At Cape Point, the swirling currents that drift offshore often spill out onto the beaches, creating tidal pools, and even small canals that literally cut across the beach. Your safest bet is to park above the high tide line, evident by the dry sand and large number of footprints, suggesting that the area hasn't touched water in a long time. This way, even in the off-chance that you do accidently get stuck, at least you don't have to worry about incoming tides or water as well. Finally, once you've officially arrived and are ready to fish, please be mindful of the other anglers around you. On a good day, Cape Point can be crowded, with dozen of anglers claiming a spot to cast a line. Try not to infringe on anyone's angling space, and don't be afraid to strike up a conversation. Many of the fishermen around these parts have been coming to Cape Point for decades, and they're more than happy to share a fish story or two, or even a couple tips, with a new arrival. As stated, the biggest draw to Cape Point visitors is the fishing, and anglers can expect to reel in hundreds of different species, including, (but certainly not limited to), tarpon, Spanish mackerel, mullet, bluefish, croaker, spot, cobia, and even drum. The drum have several big seasons on Hatteras Island, generally in the spring and late fall, and when the "drum run" is on, anglers can reel fish after fish from the massive school of drum that are clamoring by. These puppy and red drum can range from "small" 20 pounders to 50 lb. or even 60 lb. keepers, and are a challenge to reel in from the shoreline, but a whole lot of fun too, and definitely worth the effort. For beachcombers, the stretch of coastline just south of Cape Point, called "South Beach," is one of the best shelling locations on Hatteras Island. Here, beachcombers can find unusual varieties that rarely make appearances north of South Carolina, such as the Florida Fighting Conch, Helmet Conchs, and even spiny murexes. In addition, a number of local North Carolina treasures wash up on a regular basis, including whelks, olive shells, sand dollars, and the Scotch Bonnet, North Carolina's elusive and prized state shell. The best time to go shell hunting is in the early morning hours, before too many people arrive, as South Beach's status as one of the best shelling holes on the beach is one of the island's worst kept secrets. Beachcombers also have fantastic luck right after a storm, when the rough ocean waves have subsided, and the beach is covered in shells. In addition to shells, off-season visitors may spot pods of dolphin in the winter months, as these energetic sea critters flock to this area by the dozens if not hundreds. Playing remarkably close to shore, visitors can often spot dolphins and porpoises in droves splashing just yards away from Cape Point all the way to Frisco. The best time to spot them is from November to March, when the beach population dwindles, and the wildlife can rule the shoreline. As for an attraction that everyone can enjoy, Cape Point and South Beach have a remarkable feature that's hard to find anywhere else on the Outer Banks - an oceanfront sunset. Only available at certain times of year, (again, usually from the late fall until the early spring), the geography of this section of shoreline combined with the location of the sun creates the illusion of the sun setting over the Atlantic waves. A truly spectacular sight, a winter Cape Point visitor should definitely bring a camera along, to catch an East Coast oceanfront sunset that, on the surface, seems simply unbelievable. South Beach and the southern Buxton and Frisco beaches have also become popular locales for kiteboarders and stand-up paddle boarders in recent years, with small ocean waves and gradually sloping ocean bottoms that make hopping off and on a board an easy task. Boarders should be mindful, however, not to get too close to Cape Point itself, as besides disturbing the strings of fishing lines that are in the waters, this combination of shifting currents can easily produce rip currents, creating a dangerous if not deadly environment. Obviously, the standard beach activities can still be enjoyed on Cape Point and South Beach, such as sun bathing, skim boarding, sandcastle building, and just enjoying a lazy afternoon with a good beach read. But those extra attractions, including the best fishing and shelling on the beach, is what attracts visitors back year after year. Anglers will be happy to discover that Cape Point has a number of free-to-the-public fish cleaning stations, which are located just outside the 4WD ramp's entrance. Complete with running water and a long table suited for multiple anglers, this is a convenient locale to get your fresh catches cleaned before lugging them back home. Fishermen who love camping, (or campers who love fishing), will also find accommodations located just off the entrance ramp to Cape Point as well. The National Park Service's (NPS) Cape Point Campground is located within view of the ramp, and offers 202 sites for tents, campers and RVS. Usually open from Memorial Day Weekend until the fall, this campground provides right-outside-the-tent-door access to the Cape Point beach ramp, as well as public restrooms and NPS staff on hand to answer questions. Additional information can be found at the park's website. Due to recent interventions from the NPS to protect piping plover and American oystercatcher breeding grounds, Cape Point can be seasonally closed to vehicles, pedestrians, or all of the above. These closures generally occur during the spring and summer months, from April until early August, and can change at a moment's notice based on the species' breeding patterns. Visitors can stay abreast of these ever-changing conditions by visiting the Cape Hatteras National Seashore's website. Since the seasonal closures of Cape Point were instrumented several years ago, local grass root organizations have formed to obtain year-round and less restrictive access to Hatteras Island's most prized beach. For more information on their efforts and how to chip in, visit the Outer Banks Preservation Association's website. If you do get stuck on Cape Point, there's no need to panic. Most of the time, a helpful beach neighbor will be happy to assist and tow you out. If there are no other vehicles around, then simply call a local towing company who can easily help get you out of the sand and on your way, like Cape Point Exxon which is located in Buxton just a couple minutes away. Although Hatteras Island may feel a bit like a ghost town, the late fall and winter months are some of the best times to visit Cape Point, especially for beachcombers and sunset lovers. 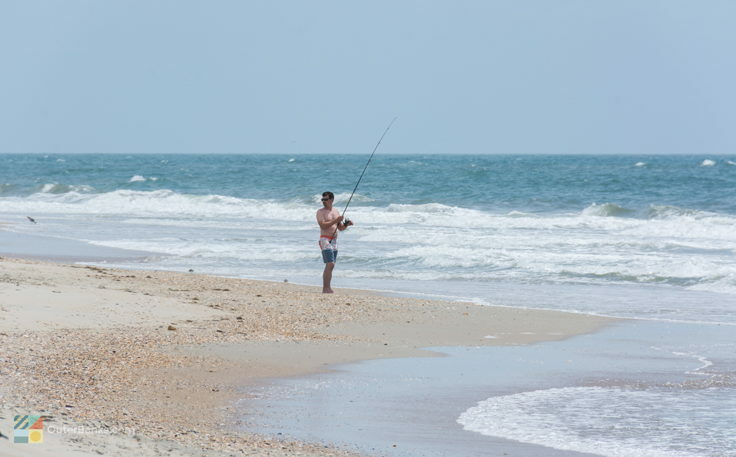 Even on the best fishing days, the beaches of Cape Point are fairly uncrowded during the off-season, and with Hatteras Island's warm climate, temperatures can easily reach 50, 60 or even 70 degrees even in the dead of winter. Visitors will also find a drastic rate change for most accommodations during the winter seasons, and have their pick of hotels, condos, or rental homes with hot tubs and fireplaces just waiting to be enjoyed. On the surface, Cape Point may strictly appeal to avid fishermen. With a decades-old reputation as the best surf fishing locale on the East Coast, it's no wonder that the majority of visitors come to Cape Point are die-hard anglers, and the fruits of their labors encourage them to come back year after year. But even casual vacationers will find a world of fun just waiting on the beaches of Cape Point and South Beach, and visitors will find exceptional shelling, great oceanfront paddle-boarding or kayaking, and plenty of sand to spread out a beach towel. On your next trip to Hatteras Island, plan an outdoor excursion to Cape Point to see what all the fuss is about. Whether you'd hoofing it along the long stretch of Buxton Beach, or driving out with the dozens of other salty trucks for exceptionally easy access, a visit to Cape Point is an all but required aspect of any Hatteras Island vacation, just as it's always been for generations of Outer Banks visitors.